Please join us for a cocktail reception with the artist on Friday, November 9th from 6-8pm. 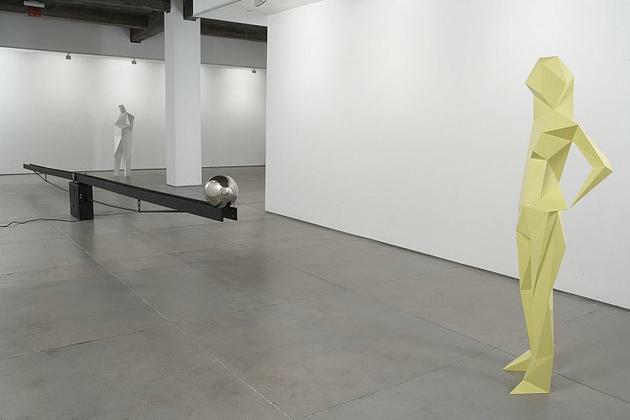 GERING & LóPEZ GALLERY is pleased to present Metric, new work by French artist Xavier Veilhan. 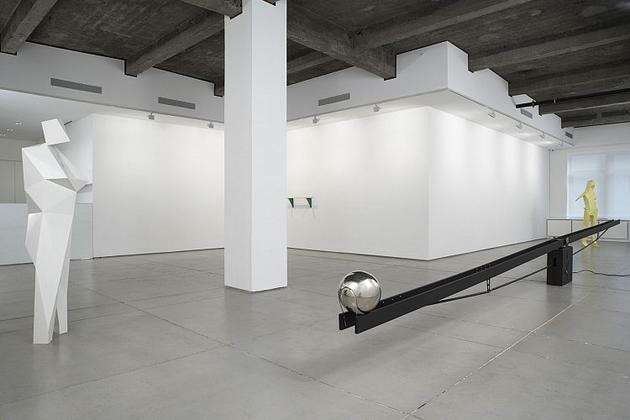 In his seventh solo exhibition in New York, Veilhan explores the universality of the measurements of time and space. 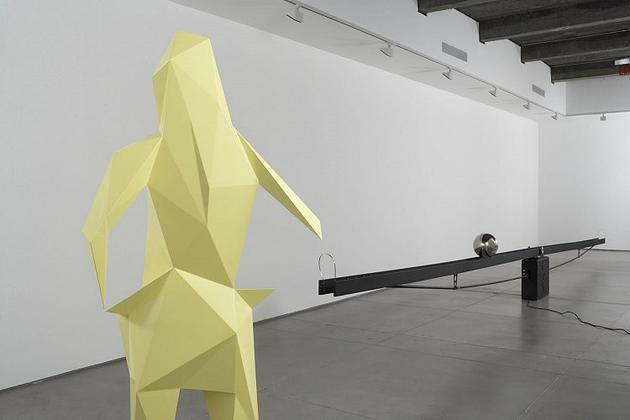 The installation appears almost as a stage set, including wall works, standing figures and Le Balancier, a large-scale seesaw-shaped sculpture. 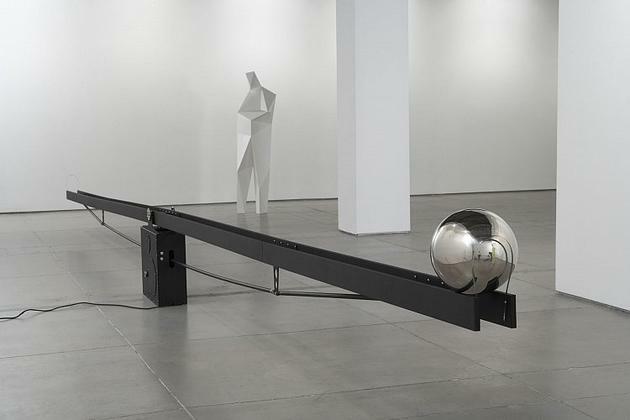 The mechanized, ten-meter long metal structure tilts side to side balancing a gliding steel sphere as it rolls slowly back and forth. The even rhythm of the movement reminds one of a ticking clock, a slow breath or the shifting ocean tides. Complementing the slow, steady movement of Le Balancier are two stationary epoxy figures, which the artist refers to as "statues," to reference a genre of sculpture traditionally done by hand. 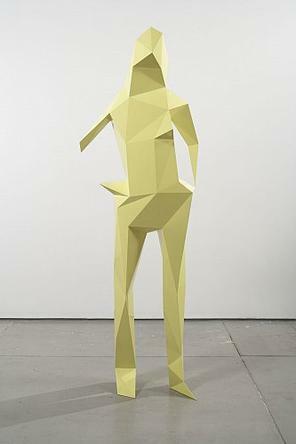 These low-definition statues, Sandra and Yves, each measure 190 centimeters, nearly 6 ½ feet tall. 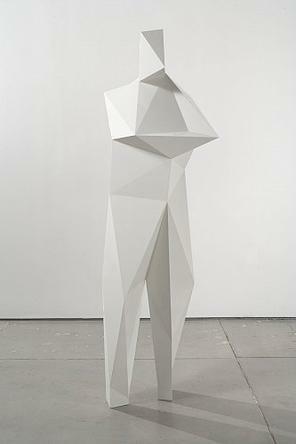 Constructed by digital milling, Veilhan's statues show no sign of the human touch but are instead deliberate results of a high-tech industrial process that uses computerized, three-dimensional scanning technology and geometry to produce something as organic as the human body. This contemporary approach to recording body mass and volume results in a sleek, angular form, referencing more the gesture of the model rather than specific anatomy. Defining a more literal example of measurement is the Standard Meter series. 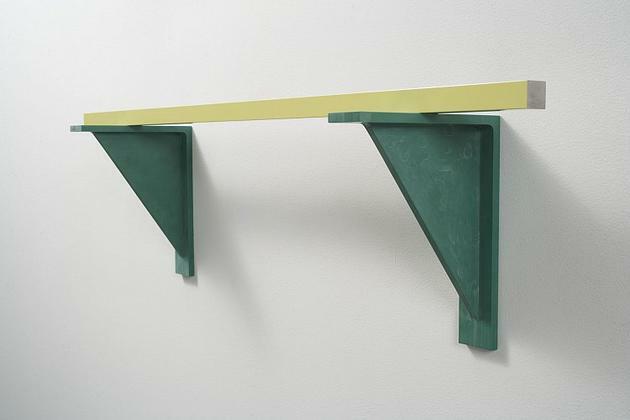 These steel and epoxy wall works find inspiration in the world's first meter ever made in France in the late 18th century. The final component of the exhibition is the only two-dimensional image included, and it uses the timeless style of portraiture. 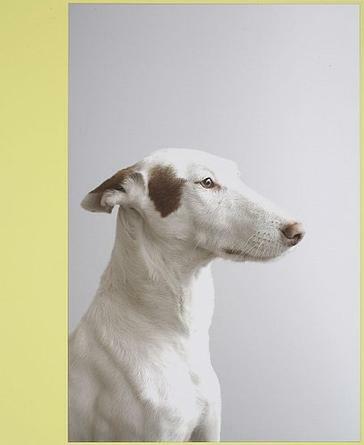 Bringing irony and humor, Podenco, an elegant dog portrait, is installed high above eye level on the gallery wall and its subject presides over the space like a well-known public official. Born in 1963 in Lyon, France, Xavier Veilhan currently lives and works in Paris. 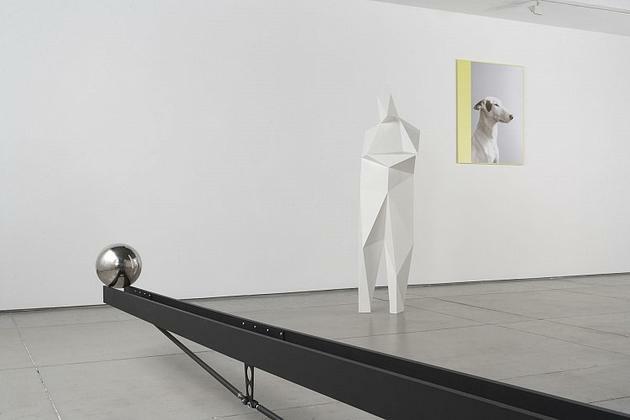 He has had numerous solo exhibitions, including those at the Centre Pompidou, Paris; Rose Art Museum, Waltham, Massachusetts; Centro de Arte Caja de Burgos, Spain; and Musée d'Art Contemporain de Strasbourg, France. Xavier also has installed several permanent public projects throughout France, including Le Monstre in Tours, Le Lion in Bordeaux and Les Habitants at La Cite Internationale by Renzo Piano in Lyon. The publication of three monographs is upcoming: Light Machines, Monography and X.Veilhan Comment ça marche? by Onestar Press. Xavier is also currently involved in Aérolite, a concert-performance in collaboration with AIR (a French electronic music duo) and in the shooting of the film Furtivo. 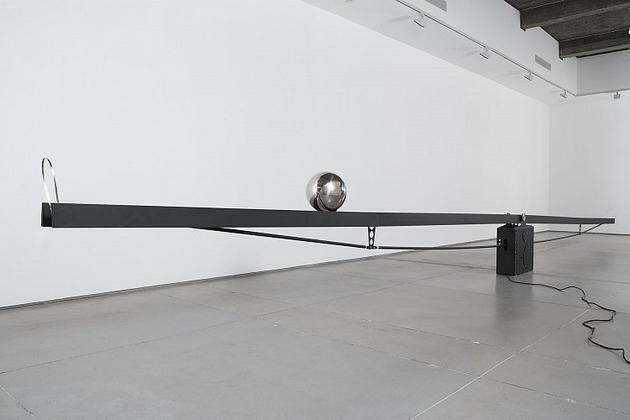 Concurrent with the exhibition, Veilhan has work on view in The Incomplete at The Chelsea Art Museum in New York and in Intrusions au Petit Palais at the Petit Palais in Paris. For further information please contact Lauren Cicione at 646.336.7183.